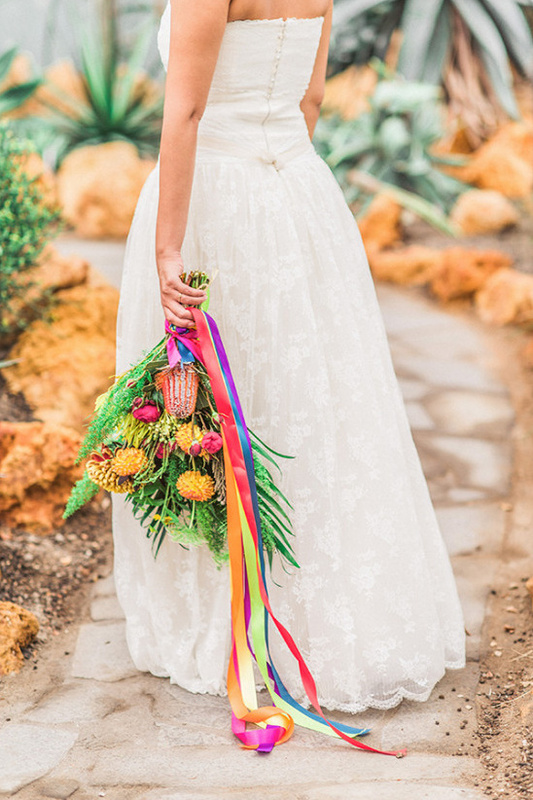 So you are no where near Mexico and a destination wedding is just out of the question, don't let that put a damper on your wedding style. 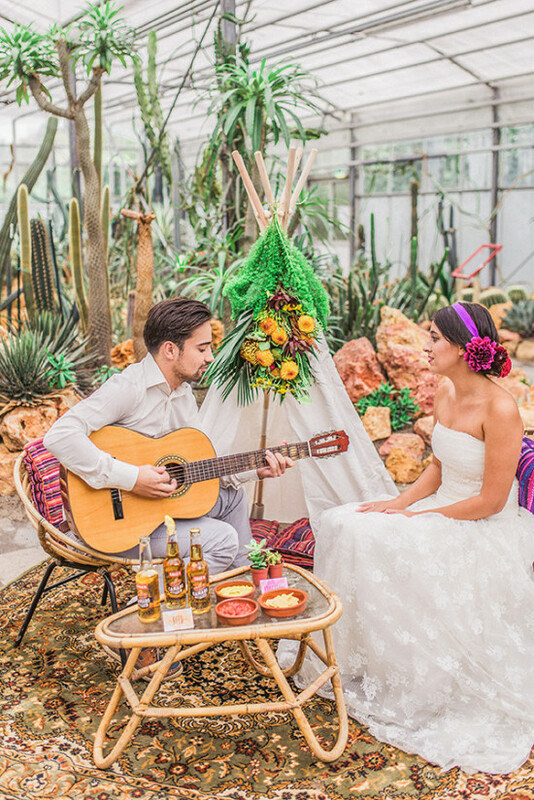 This beautiful styled shoot in the Netherlands is a prime example of how you can have a Fiesta wedding anywhere! 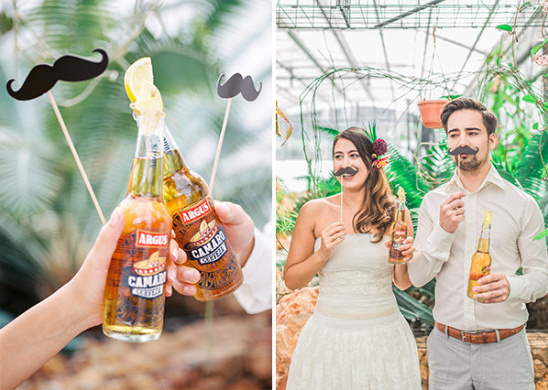 Oh and don't run off too soon, we have so many more wonderful images to share with you from Raisa Zwart Photography in our full gallery. 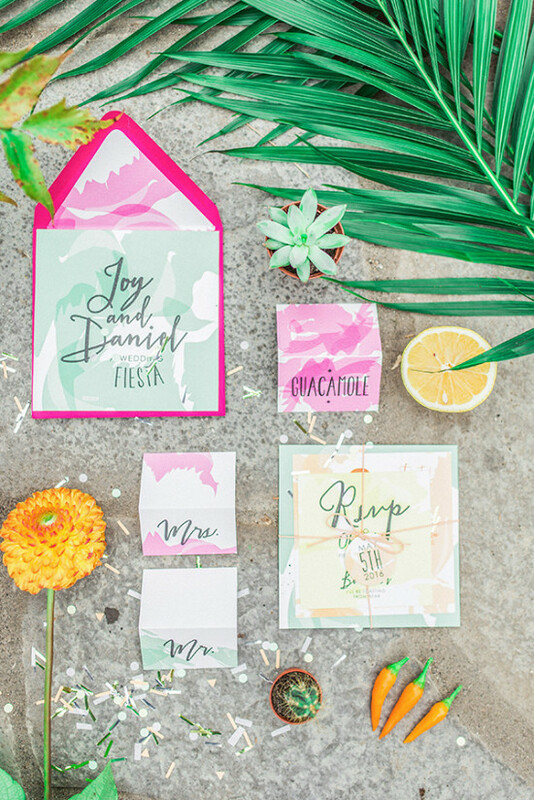 Whether it is the quirky and fun stationery, the adorable wedding donkey or the bright table decor you are sure to find even more of it all right here! 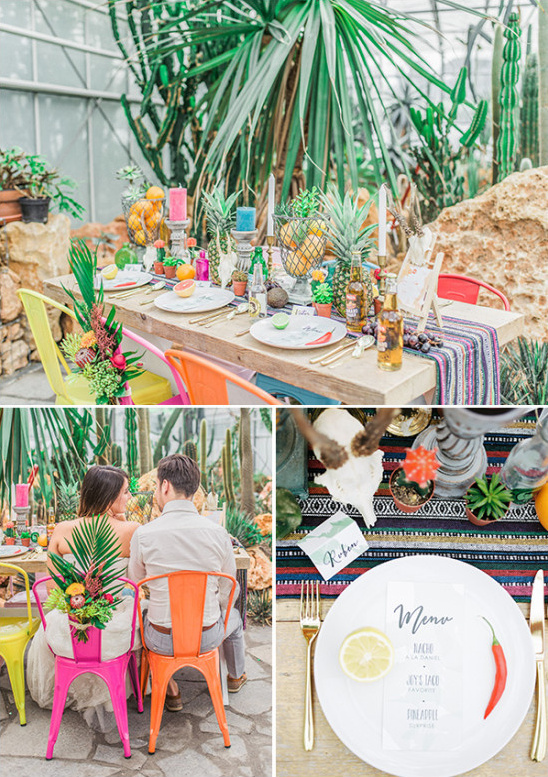 From Te Leuk Trouwen: Inspired by the vivid South American colours and Cinco de Mayo festival, geared with the carefully selected decor items we arrived at the shoot location - The Oranjerie de Groene Parel, botanical gardens for cacti and succulents. The changeable weather in The Netherlands is similar to that in Great Britain. 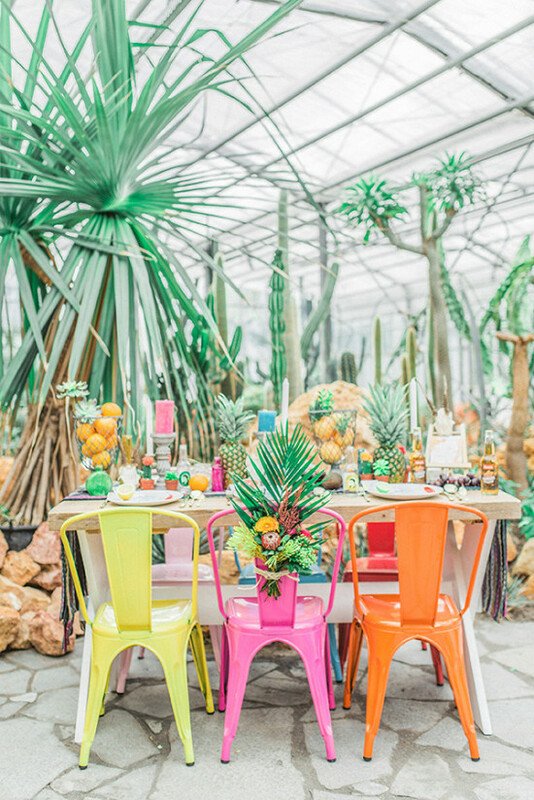 We were extremely lucky to have The Oranjerie as the setting for our shoot, it not only allowed our photographer, Raisa Zwart, to have the right light to capture all details, but also protected the team from the heavy rain for the whole day! 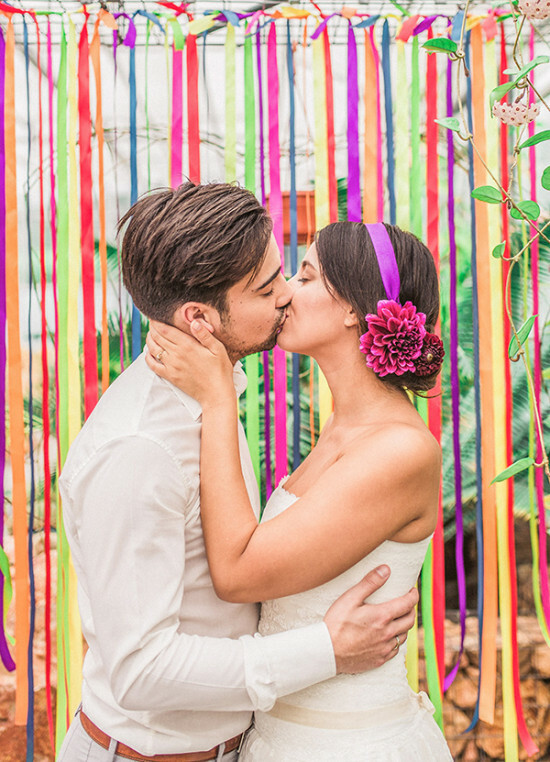 Animals, Flowers & Cakes, oh my! The real character of this shoot was a donkey from Ezelpark Poelman. 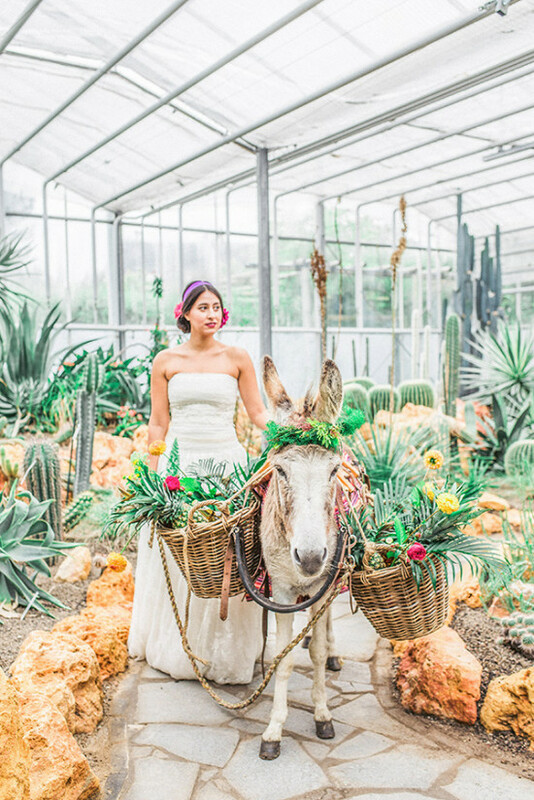 The donkey had a crown of green flowers and we arranged more flowers in the baskets together with the tropical leaves and pineapples. 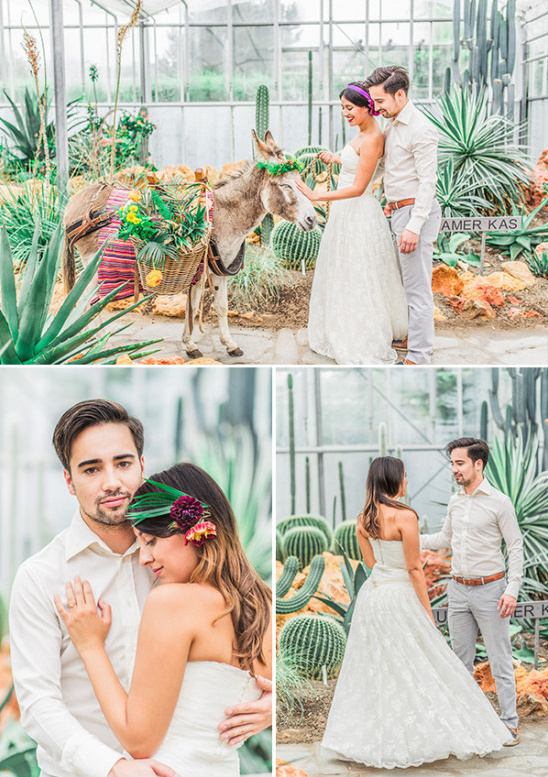 It was truly adorable to have the donkey on the shoot! Bright and juicy red, yellow and green flowers by Bloemenmeisjes.com beautifully styled the dining table, the chair back and the stationary by Oh So Pretty Party. 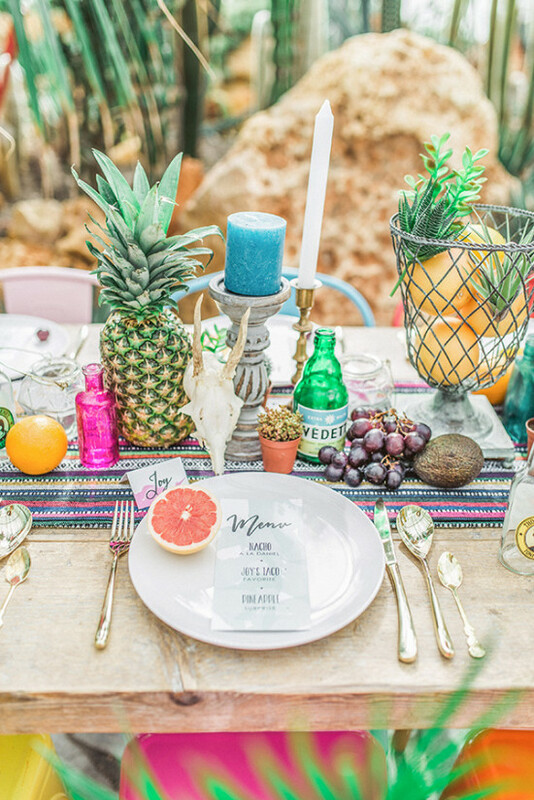 By looking at the pictures you can feel the heat of the Mexican dessert and smell the sweet notes of grapefruit and pineapple. 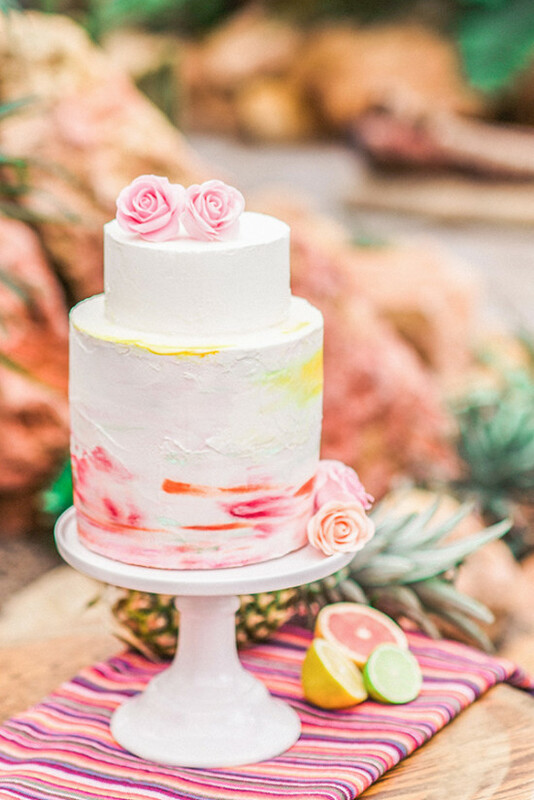 The wedding cake from Baked By Isabelle has clear design with a touch of red and yellow and goes incredibly well with the whole theme. 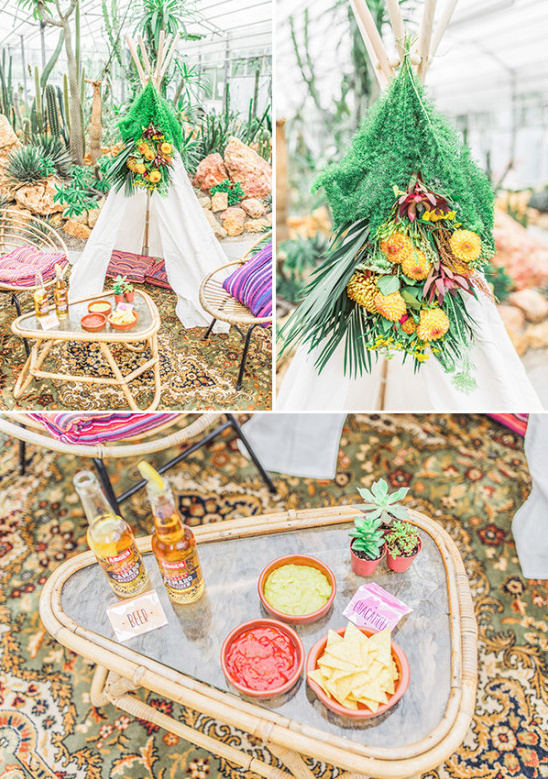 To get a closer look at this wedding shoot that shows you how to have a Fiesta wedding anywhere, check out the wedding film The Dreamers created below!